Following Rabbits Blog – Tagged "friday favorites"
I love old photographs of NYC! Check out Charles Cushman's gorgeous color photographs of NYC in the 40's. The city has changed so much, but you can still see glimpses of familiarity... love it. 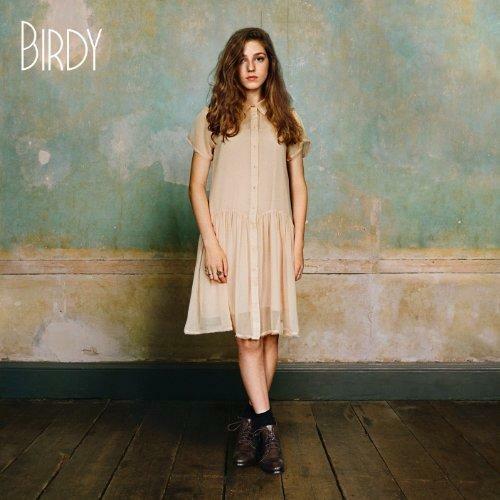 Birdy's self-titled album is available for download in the US 3/20-- get it!! Go to ICP to see the Weegee photography exhibit: Murder Is My Business... photos taken by Weegee in the 30's and 40's of NYC crime scenes. There's also a recreation of his apartment and some of his posessions-- odd stuff. I'm game. Must see: Glasstress at the Museum of Arts and Design. Gorgeous pieces on display, including "La Carrona" by Javier Perez (pictured above). Seeing that up close is worth museum admission alone. The Radical Camera: New York's Photo League, 1936-1951 at the Jewish Museum. They have arranged the photos on an interactive map online so you can see where they were taken and have a full appreciation of how much New York has changed with the times. Pretty amazing. This video is absolutely gorgeous! Gave me goosebumps the first time I watched it. Witnessing it firsthand in nature must be unbelievable. LOVE LOVE LOVE... cutest thing I've seen in a long time. Fireworks in Central Park tonight between 7-8p as part of the NYC Marathon Opening Ceremony. DOC NYC is going on now through November 10th. The documentary festival is showing a slew of films at the IFC Center and NYU. Street Fairs will be going on Saturday on West 4th St and Sunday on Bleeker and also Sixth Avenue. Astoria Market has their first Holiday fair on Sunday, too! Citi Pond at Bryant Park has opened for the season-- skating is free if you have your own skates! Skate rentals are $14. Outdoor Films! Tonight you can see Back to the Future, The Princess Bride, or Wall-E; tomorrow catch Star Trek. See my full outdoor film calendar for locations and details. If you haven't checked out the High Line since they opened the second section last month, check it out! Time Out New York has a great High Line guide and hot spots around that area to check out. Last week of Shakespeare in the Park! Enter here to sign up for the virtual ticket drawing. Adele's video for Rolling in the Deep (above) is fantastic. She introduced the video on the VH1 Top 20 Countdown, and said the song was the first track she wrote for her new album, 21. She wrote the song after a "huge row" with her boyfriend, and that the speed of the song was set by the beat of her racing heart. Pretty awesome. Adele's new album, 21, is amazing! I've had it on repeat for days, especially playing out Set Fire to the Rain, Rumor Has It, Someone Like You, and Rolling in the Deep. I tried to get tickets to her show at United Palace in May, and it sold out the minute it went on sale. Sooo bummed out. Check out MoMA's Looking at Music 3.0 exhibit which takes a look at music's influence on NYC in the 80's and 90's. From the exhibit's website: In this dynamic period, imaginative forms of street art spread across the five boroughs, articulating the counter-culture tenor of the times. As the city transitioned from bankruptcy to solvency, graffiti, media, and performance artists took advantage of low rents and collaborated on ad hoc works shown in alternative spaces and underground clubs. Appropriation, also known as remixing, thrived. Borders on Park Avenue is closing! Starting today, there's a sale of 25-50% off everything in the store.